As an advocate of sustainable living, the tiny home movement was quick to catch Chris’ eye. Chris believes that it is important to show the world how easy it is to live simple and that the amount of work put into building a tiny home may be a lot less than people realize. Here is his tiny home success story. 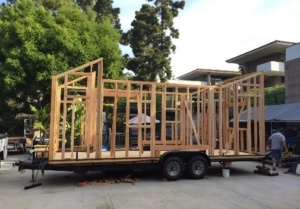 Although Chris was a recent UCSB graduate and crafty in the ways of woodwork- the skills needed to build and frame a tiny house were new to him. But with his DIY dream in sight, he wasn’t going to let anything stop him. First, Chris did a lot of research. There are many different companies making tiny homes so he had a lot of options. By observing as much as he could, talking to other tiny home builders and learning from their mistakes, Chris worked to make his dream a reality. Along with finding the right materials, Chris also had to find a temporary place to park the home while he was building. With his construction site secured and materials selected, it was time for Chris to find the right foundation for his tiny house. Just like any other tiny home, Chris’ vision was specific and personalized. Based on certain design aspects, Chris’ trailer had to be specifically designed to make sure his house would sit securely. A foundation is vital to any house and a tiny home is no different. 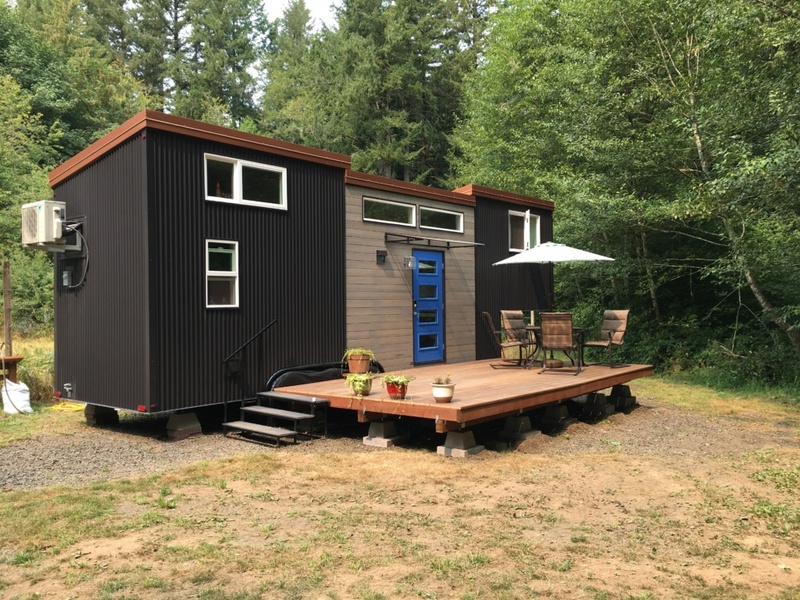 Because Chris chose a Seattle Tiny Homes trailer, he was able to customize the trailer build. He ended up spacing the axles further apart than normal to give his home the maximum stability. With hard work and help from some friends, Chris successfully built a tiny home for a low cost. A unique learning experience later and Chris was finally ready to unveil his idea to the world. He first showcased his DIY tiny home at the Santa Barbara Earth Day festival. The tiny house on wheels generated a lot of interest and excitement. Displaying his tiny house at events is how Chris is able to communicate his message and promote his movement called “Sustainable Obtainable.” Chris has lived in his tiny house for the past eight months and plans on continuing to do so. Ultimately, Chris hopes to continue to display the benefits and conveniences that living tiny can bring. He also has interest in creating a sort of community café based around tiny homes. Chris has found that living tiny is a great way to save money. And he has realized that choosing to build it himself saved even more. If you’re ready to move forward with building your own tiny house like Chris did, we are here to help. We offer trailers that are completely customizable to meet your needs, as well as DIY plans. Of course, if you want us to build your tiny house, we’ll work with you to personalize your home and build it to the highest standards of quality. Contact us today to get started! The tiny house movement has caught the interest of people across the globe. From college students looking for cheap living to cities searching for efficient housing, the tiny house hype doesn’t seem to be dying down any time soon. 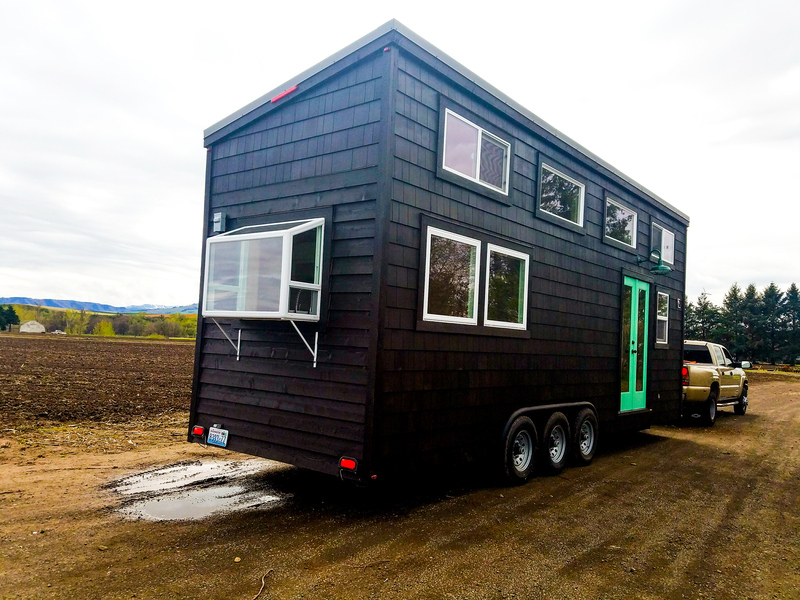 While many different companies have emerged selling tiny homes of different variations, there are many people who want to build their tiny home themselves. Whether you’re focused on saving money through sweat equity or interested in the crafty details, doing it yourself is a great option. So, how can you build a tiny home yourself? Chris Silva, a UCSB graduate from Santa Barbara, California, decided to take the DIY approach when it came to building his tiny house. Believing in the tiny homes vision, Chris started a group called Sustainable Obtainable Tiny House Project. His goal? To show the world the benefits of living small and how easy ‘doing it yourself’ really can be. After a lot of research and a few months of hammering and painting, Chris was ready to showcase his new tiny home at local festivals- starting with the Santa Barbara Earth Day Festival. 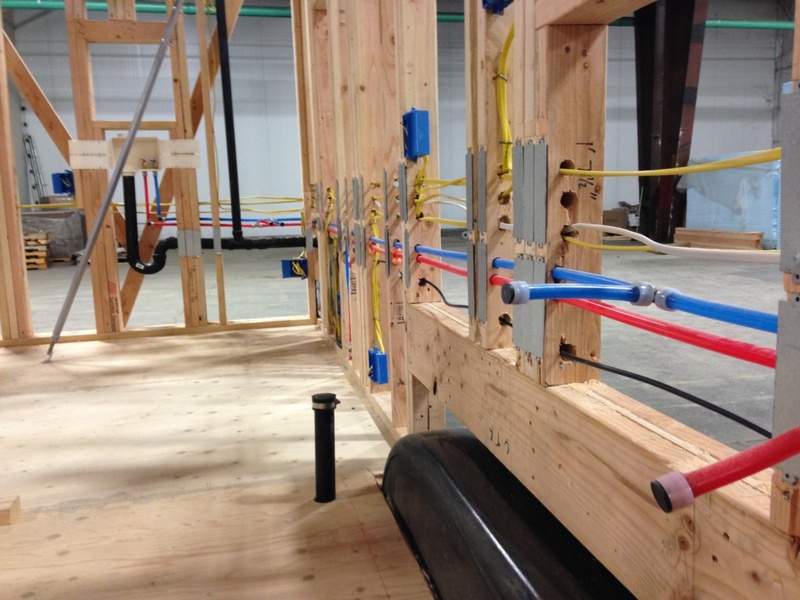 Here are some tips he learned in the exciting process of building his own home . . . 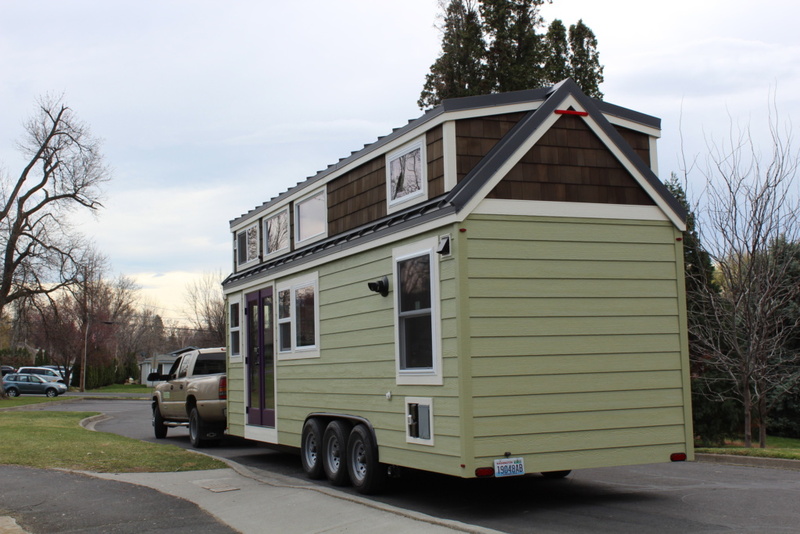 Figure out zoning/parking – Some cities are picky about tiny home parking and others aren’t. Make sure you have a living spot in mind before you invest your time and money. 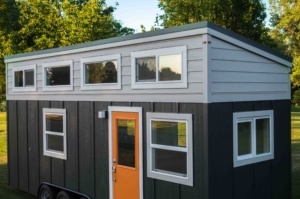 Find the right trailer – A foundation for a tiny home is as important as any home. Chris chose a Seattle Tiny Homes’ trailer because of our ability to customize the trailer to best fit his needs. The trailer was custom built with specifically placed axles. This would allow his tiny house to have the most stability and support for living and transportation. Find a place to build – Assembling your tiny home can take time, especially if you’re not in a hurry. Make sure you line up a consistent, safe place to park trailer while you’re building your home on it. Be persistent – Knowledge comes to those who seek it. Search around for the best deals and never feel like you’re asking too many questions. Hunt for deals – Chris was able to get many of his materials at cost and even benefited from some donations. Hunt around for good deals on materials and see if you can score some freebies. Seek consultation – Learning from trial and error is good, but learning from the trial and error of someone else is even better. There are lots of DIY people out there happy to share their ideas and methods. Be sure to soak in as much as you can. Let professionals do the hard stuff – Unless you’re a plumber or electrician, hire professionals to do those parts for you. It’s important to do it correctly the first time and safety issues can arise if done incorrectly. There are many more aspects to building a tiny home yourself, but those pointers should help you get started. Remember, you’re not the only one whose done this, so don’t feel like you’re building alone. The amount of work can seem daunting; after all, you are technically building a house. But Chris assures that it’s a positive experience and gets better as you go. Chris was able to build his house much cheaper than a tiny house would normally cost by utilizing the above tips. If you’re ready to move forward with building your own tiny house, Seattle Tiny Homes is here to help. We offer incredibly detailed building plans for the Alki – one of our most popular models. We also provide trailers that are completely customized to meet your needs. Of course, if you want us to build your tiny house, we’ll work with you to personalize your home and build it to the highest standards of quality. Contact us today to get started!